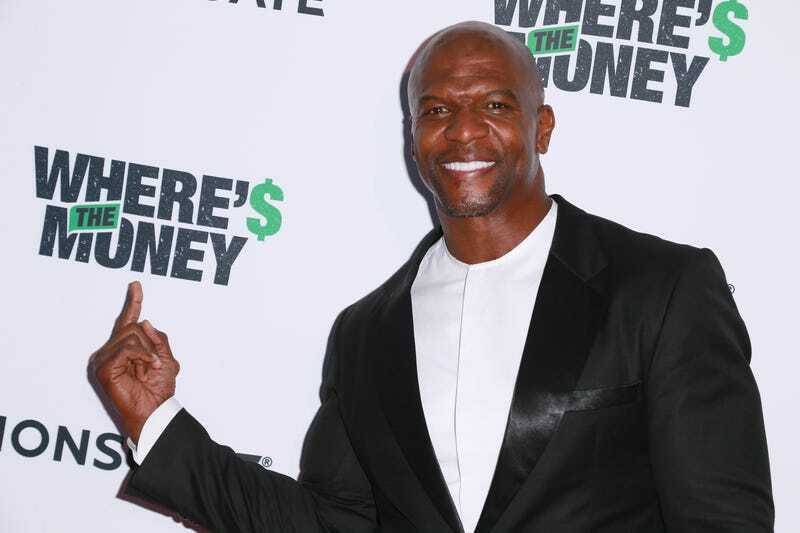 Terry Crews reportedly walked into a Los Angeles police station early Wednesday afternoon and filed a report about an alleged sexual assault, which could lead to an actual investigation into statements Crews made in early October about being sexually assaulted by a Hollywood executive at a party. On the heels of many women coming forward with accusations against Harvey Weinstein last month, Crews took to Twitter to detail an incident in which he was the victim of sexual assault at the hands of a “high-level Hollywood executive” at a party he attended with his wife. Law-enforcement sources told TMZ that it is this incident Crews went to the police to report. Because the incident took place in California last year, the statute of limitations is not up, which means that Crews can press charges, and that could lead to a criminal investigation by police. Crews never named the Hollywood executive who groped his private parts, but reports surfaced last week that the executive in question was Adam Venit, head of the motion picture group at William Morris Entertainment. Sources at the time said that Crews was preparing to name Venit as his attacker. Since the reports naming Venit have come out, Crews has not publicly confirmed or denied that Venit is the man who touched him inappropriately. If what TMZ reports is true, we could soon find out anyway.